Although a lot of people have gone off of Instagram recently due to the algorithm and engagement issues, it's still one of my all time favourite social media platforms. There's nothing I love more than creating beautiful photos and seeing other people's stunning posts. Today I thought I'd compile a little post featuring a few of my favourite Instagram accounts who are all run by lovely and creative girl bosses. You can also follow my Instagram here if you'd like! I don't think I'm wrong in saying that Friday Faye is pretty much everyone's favourite Instragram account. I mean just look at it. 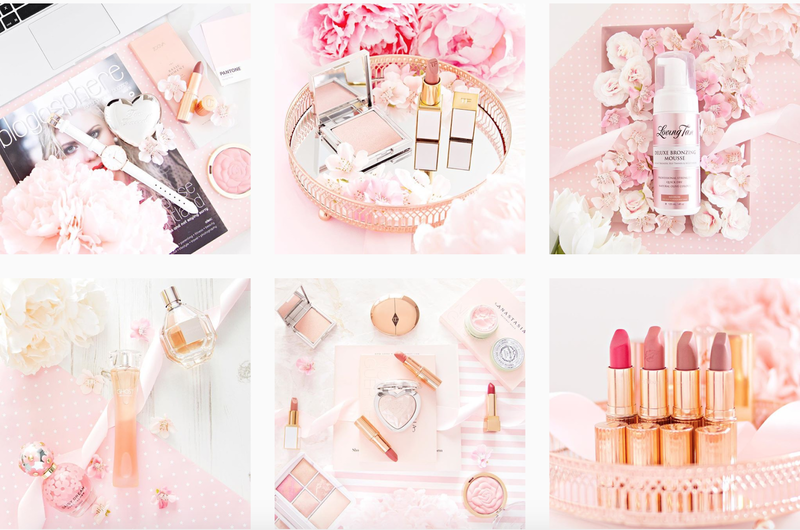 I'm completely in love with the all over pink and girly vibe and always find myself looking to Faye's account for inspiration for my own account. Faye is also the reason why my bank account is suffering so much at the moment, because I simply can't stop myself from buying everything she posts! I just love how all of Faye's posts are so intricate and detailed- I can't even begin to imagine the amount of effort that goes into each post. 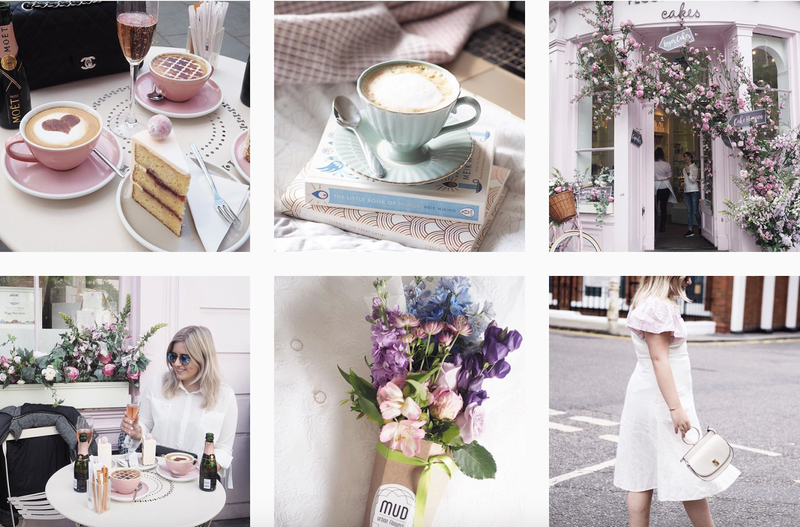 Lynssay's feed is basically how I aspire to live my life- fresh flowers, amazing holidays and the most aesthetically pleasing breakfasts you could ever imagine. All of Lynssay's posts are so different and unique yet they manage to flow so well and look absolutely stunning when in the grid. Definite feed goals! While Alix is a fairly 'big' influencer and has more followers than I could even dream of, she has always been one of my absolute favourites, not only on Instagram, but Youtube as well. 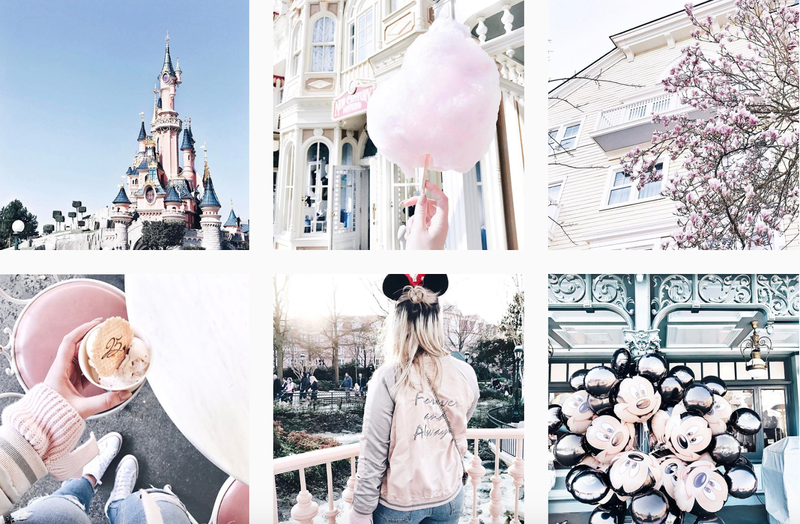 Her feed is absolutely gorgeous with each post being stunning in it's own way, especially the Disneyland section which had me feeling all types of ways. I can only aspire to be as creative and effortless as Alix in my future! 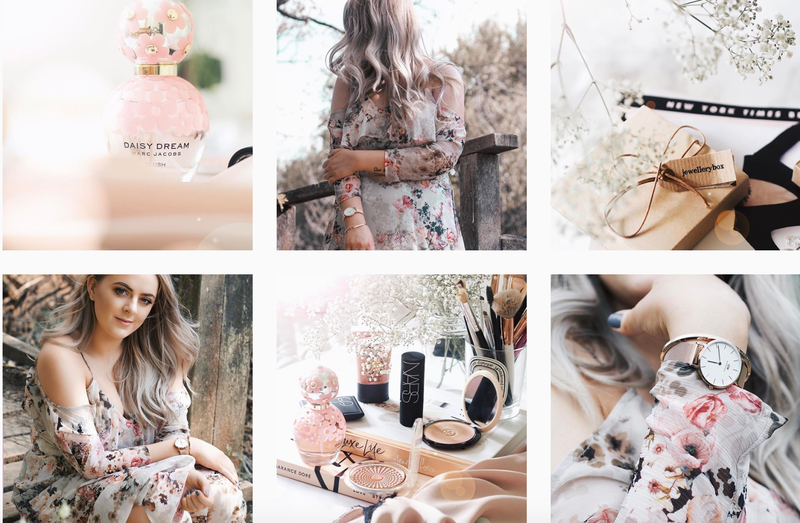 Stacey's feed is possibly one of my favourites for photograph inspiration. She continually wow's me with her stunning photos and her ability to make any product look incredible- I definitely think I need that Marc Jacobs perfume in my life now. Stacey is always inspiring me to become a better photographer and to be more creative with my photos! Also, how insanely gorgeous is she?! 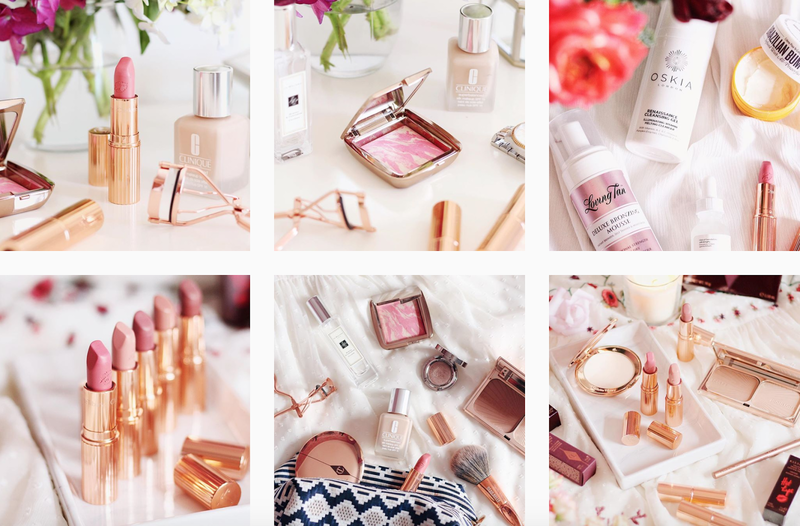 Another one of my absolute favourites who I turn to for photo inspiration on the daily is Francisca- just look at those Charlotte Tilbury photos! Francisca's photos are some of my all time favourites as they're so beautiful and feminine in a really effortless and classy way. She's another one who essentially forces me into buying products I don't need because of her stunning photography. 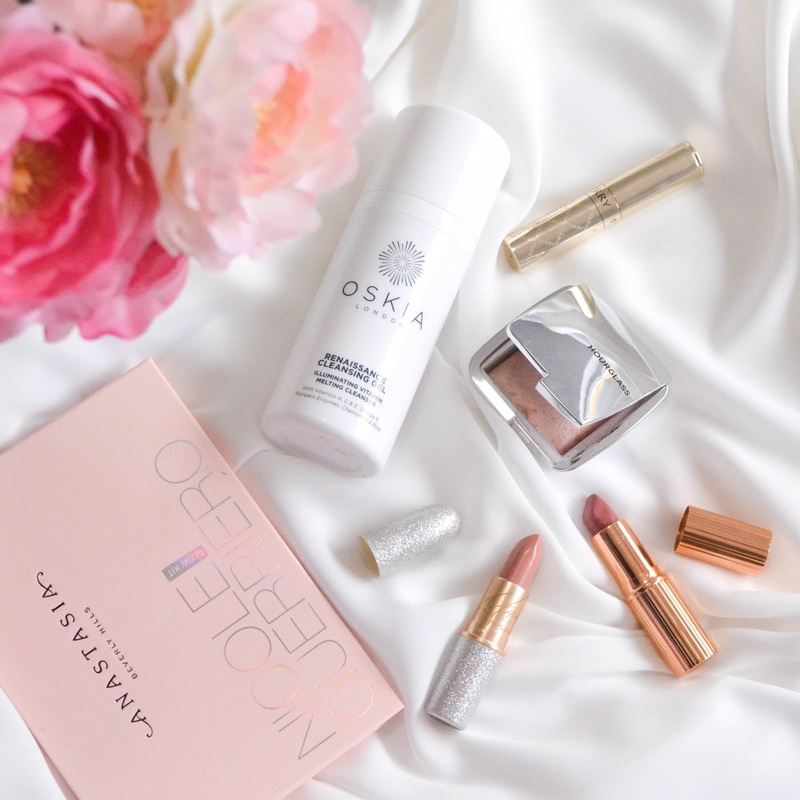 The Charlotte Tilbury powder is next on my list thanks to Francisca! I hope you enjoyed reading this post and found some beautiful new accounts to follow on Instagram! Oh these feeds all look incredibly beautiful. So nicely designed and well curated - I gotta admit I'm the worst at sticking to a certain style of feed. It just is so hard. Yaaay I follow all of these accounts & love them so much for some daily inspiration!